Following the outbreak of Ebola in West Africa in 2014, there is growing support to make new vaccines available sooner. In situations that threaten global health security, it may be necessary to expose research participants to greater risk to develop them. In the pursuit of “global health security,” governments advocate the deployment of pharmaceuticals to combat infectious diseases. Following the Ebola outbreak in West Africa, attention has turned to other emerging diseases and future pharmaceutical solutions. There is growing support for enabling faster clinical research to make new vaccines available sooner. Research on experimental vaccines must ordinarily be consistent with ethical principles designed to protect human research participants. However, where a target disease is framed in security terms, it could be argued an extraordinary response is required: exposing research participants to more risk to accelerate research and save more lives. Traditionally, security claims have been used to create political space and establish moral permission to do extraordinary things. So, if the pursuit of new vaccines is to be regarded as a security issue, to what extraordinary lengths might we go when conducting clinical research? This question is prompted by the launch in early 2017 of the Coalition for Epidemic Preparedness Innovations (CEPI). With support and funding from governments, international organisations, philanthropic foundations and pharmaceutical companies, CEPI’s mission is to finance and coordinate the accelerated development of vaccines against certain emerging infectious diseases. 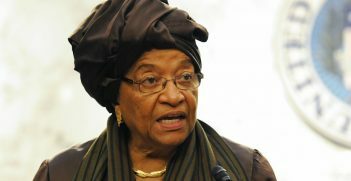 Prominent figures in the field of global health had been advocating the establishment of such organisation after the Ebola outbreak in West Africa demonstrated the damage a deadly virus can cause in the absence of an effective vaccine. 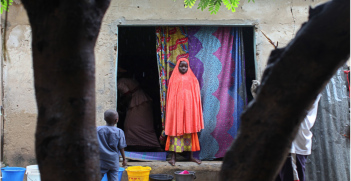 In 2014, the World Health Organisation declared that outbreak to be a public health emergency and the United Nations Security Council described the spread of Ebola in West Africa as a threat to international peace and security. The problem, framed in both health and security terms, was a disease was spreading out of control. If an effective vaccine had been available at the time, the damage would have been less severe. Medical scientists investigate experimental drugs and vaccines by engaging in sequential phases of clinical research. Before clinical trials begin, a new pharmaceutical will have been laboratory-tested in animals to generate preliminary data on its efficacy and toxicity. If these pre-clinical tests are successful enough to warrant development of that pharmaceutical for possible human use, three phases of clinical trials may then follow. In Phase I the purpose is to establish the safety and required dosage of the investigational drug or vaccine. The study usually takes several months, involving a small number (20–100) of healthy volunteers. If the pharmaceutical is found to be safe enough to warrant further investigation, a clinical trial proceeds to Phase II. Here the purpose is to test for efficacy, and research involving up to several hundred people with the relevant disease takes up to two years. If sufficient efficacy is shown under the highly-controlled circumstances of Phase II, the research can move on to a larger-scale investigation into how effective the pharmaceutical is under real-world conditions. In Phase III (effectiveness) research, up to 3,000 volunteers who have the disease participate in a study lasting up to four years. Ordinarily, it is only after passing successfully through Phases I-III that a pharmaceutical is approved by a regulatory authority for use in the general population, and most clinical research is not fully successful. When trialling a new pharmaceutical, it is usually scientifically necessary to expose human subjects to a degree of risk. This means ethical concerns can arise as researchers seek to advance scientific knowledge while also protecting the interests of human subjects. Principles of human research ethics are intended to guide the process of balancing these two imperatives. The principles that are applicable to clinical research are derived largely from the post-war criminal trials of physicians who had conducted atrocious medical experiments in Nazi Germany during World War II. On the basis of judicial findings at the Nuremberg trials, the Nuremberg Code emerged to establish that voluntary, informed consent is an indispensable condition of any research involving humans. This and other principles were later developed in the World Medical Association’s Declaration of Helsinki and today they are among seven ethical principles that apply to clinical research. Researchers’ adherence to these principles means clinical trials of experimental pharmaceuticals take longer today, and this is accepted as a desirable trade-off between scientific and ethical interests. 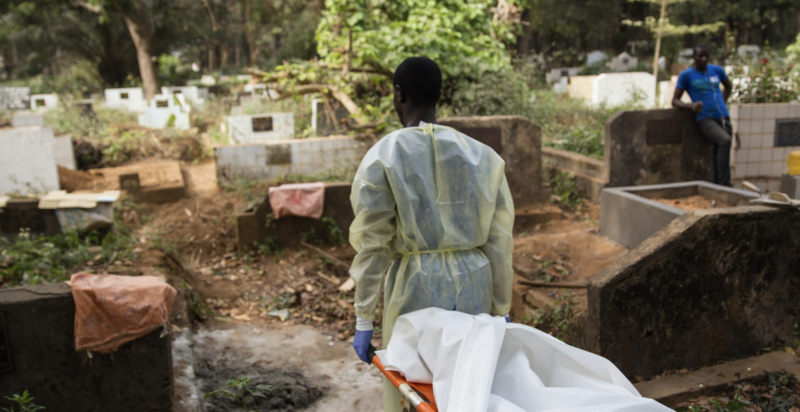 However, the ordinarily slow pace of progress toward new drugs and vaccines against infectious diseases became a source of great concern during the 2014 Ebola outbreak. The CEPI aims to “contribute to the health security the world needs by accelerating clinical research on new vaccines to control emerging infectious diseases.” It was founded on the proposition that a repeat of the Ebola crisis had to be averted, and this could be achieved by having safety-tested vaccines ready to be efficacy-tested as soon as a disease outbreak begins. The anticipated public-health benefit is that, if stockpiled doses of a candidate vaccine were quickly proven to be efficacious, there might then be time to administer them to prevent infection and save lives. Accelerated vaccine development for the sake of “health security” could go further than CEPI would take it. If securitisation in this and other spheres of activity involves extraordinary measures going “beyond rules that would otherwise bind,” the relevant “rule” here is the ethical objection to placing research participants at risk. Going beyond this objection would open the door to pre-outbreak efficacy testing in humans of candidate vaccines against emerging infectious diseases, but the ethical requirement of free and informed consent could still be observed. To promote pre-outbreak clinical research on the human efficacy of new vaccines, an approach might be based on an ethos of solidarity. Such a research program for securing global health pharmaceutically could be called “Global Bioheroes,” and it would involve volunteers from around the world. Each biohero would confront biological danger in the form of clinical research risk; hazarding and perhaps sacrificing their health in solidarity with disease-threatened people worldwide. A familiar notion of a hero in a security context is the soldier who, in solidarity with fellow members of a society in need of protection, risks their body in combat against an enemy. A biohero helping to fight a virus would similarly combine bodily risk-taking and a spirit of solidarity, but for the sake of health security rather than victory in war. By pre-empting the need for field-based efficacy trials, the Global Bioheroes approach would also reduce the level of research risk to which many other people might otherwise be exposed in the challenging context of a disease outbreak. And, in comparison to the experience of doing early-stage Ebola vaccine research during an outbreak in West Africa, the effectiveness-testing of advanced bioheroes vaccines is less likely to be seen as an unwelcome distraction from non-pharmaceutical disease-control efforts. Global Bioheroes would also involve no transfer of research risk from the developed to the developing world. Rather, the entry of volunteers from around the world into pre-outbreak efficacy trials would be based on a commitment of solidarity: that there should be global sharing of exposure to research risks when developing new vaccines. The medical care for bioheroes could be the world’s best (not the best available in an outbreak zone) and superior research conditions would also help with ethical oversight. People with diminished capacity to provide informed consent could be more easily excluded from participation. A payment scheme would need to be carefully designed to minimise undue financial temptation, but at a minimum, it could include compensation for income lost while participating and the free provision of any follow-up medical care. The increasing emphasis on pharmaceutical approaches to global health security requires ongoing normative evaluation and should encompass the clinical research that develops new vaccines. Christian Enemark is a professor of International Relations at the University of Southampton. He is the author of Disease and Security: Natural Plagues and Biological Weapons in East Asia (2007), Armed Drones and the Ethics of War: Military Virtue in a Post-Heroic Age (2014), and Biosecurity Dilemmas: Dreaded Diseases, Ethical Responses, and the Health of Nations (2017), and co-editor (with Michael J. Selgelid) of Ethics and Security Aspects of Infectious Disease Control: Interdisciplinary Perspectives (2012). This article is an extract from Enemark’s article in Volume 72, Issue 6 of the Australian Journal of International Affairs titled “Global Bioheroes: clinical research and new vaccines for health security.” It is republished with permission. 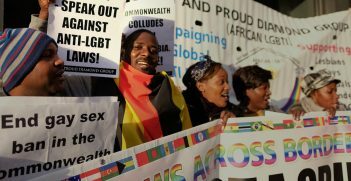 When it comes to LGBTI rights in Africa, arguing against Western interventionism is a front for advocating the maintenance of discriminatory anti-LGBTI legislation. Ahead of the International Day Against Homophobia, Transphobia and Biphobia, it should be argued that it is homophobia rather than homosexuality that is un-African.